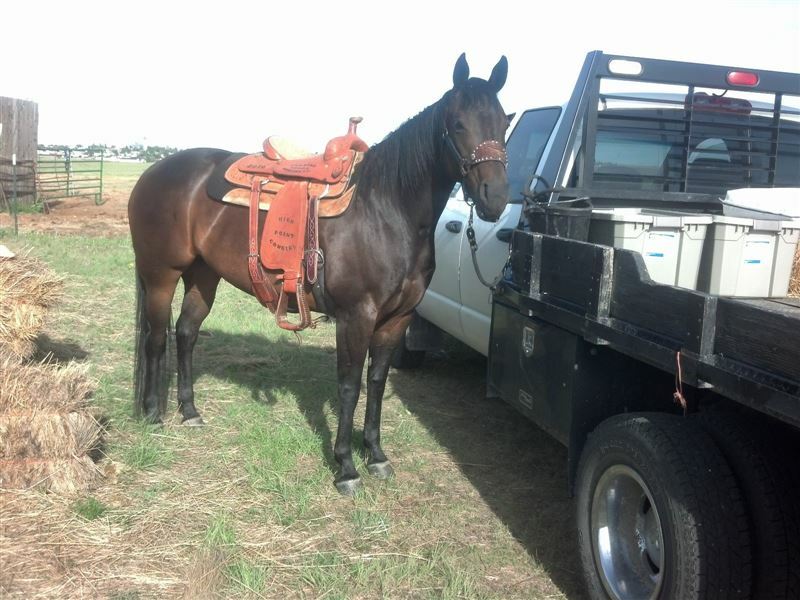 Genuine Profits is a 1D/2D Barrels/Poles 12 year old mare that is absolutely gorgeous! She is finished and ready to go. She competes at both barrels and poles and great head horse potential. Genuine clips, ties, hauls, shoes, open and close gates, move cows, ride rivers, hills crosses bridges and water. Genuine has great manners. No pulling back. If you enjoy riding out, Genuine can go all day long, travels straight and is such a treat to ride. Very sure footed and trusted. Absolutely no buck! You can give her time off and get on and take up where you left off. She is currently clocking in the bottom of 1D/2D with limited hauling and a lot of room to add more speed. She is in shape and ready to go. She is free and really runs between her barrels. Genuine also has amazing feet and great bone. Please feel free to call or email with any questions. I will continue to keep her in shape and compete on her so she is ready for her new owner.